The combination of "Super Atlantic + Trailer + Centurion" had a weight of approx. 107tons. 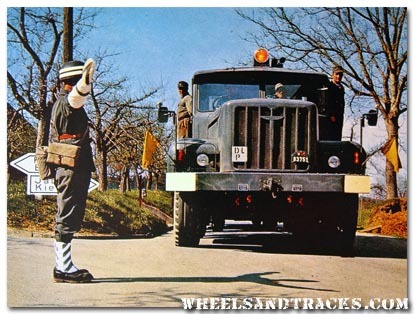 Those heavy transports were always attended by military police. It could get very narrow with such a huge convoy. 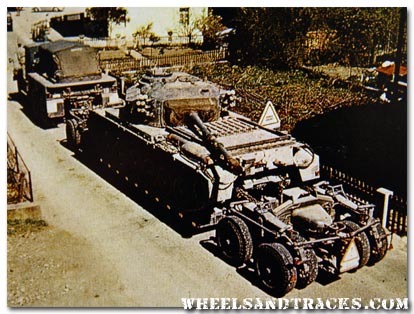 Only 1 or 2 examples of the Entpannungspanzer 56 (Centurion ARV) can still be found in Switzerland. A GMC CCKW 353 with a cargo body is climbing up a steep road. Not easy with the GMCs wide steering angle. 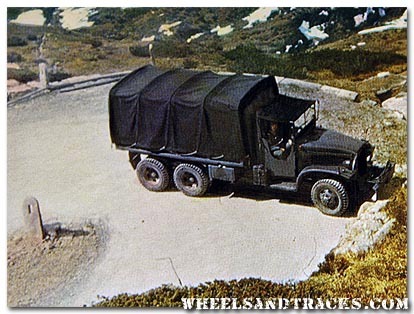 The Swiss did not use a lot of GMCs with a cargo body, most of the had a specialised Swiss built body. A Panzer 58 wading through shallow water.